A new release of pyjanitor is out! Concatenating column names into a single column, such that each item is separated by a delimiter. Deconcatenating a column into multiple columns, separating on the basis of a delimiter. Both of these tasks come up frequently in data preparation. 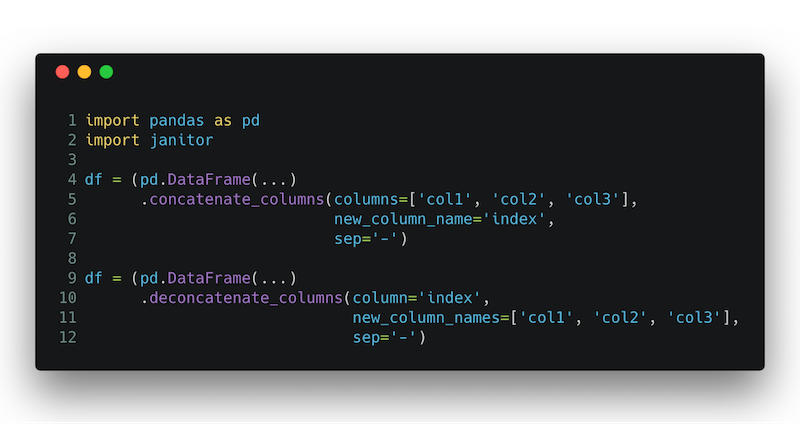 For example, concatenating a few columns together oftentimes lets us create an unique index based sample properties. The conda-forge build will be coming soon!